Digiatry, the software company, established in 2006 is a well-renowned brand in multimedia software solutions. 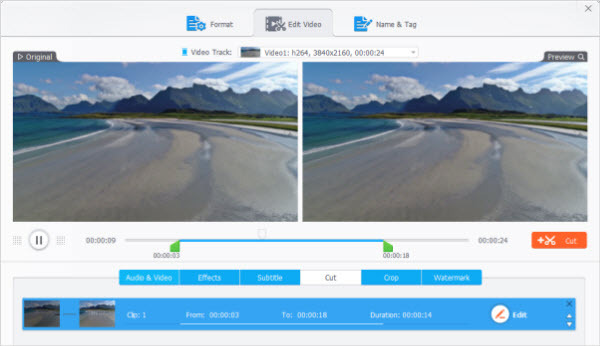 It has recently introduced a new product, VideoProc, which is integrated with powerful tools for 4K video processing and compressing. Even the beginners, can know how to use VideoProc to compress GoPro, DJI, iPhone 4K videos without losing any quality. So how we stumbled upon it? We were browsing the internet trying to look for software solutions that compress GoPro 4K videos size for storage and uploading to video channels. We came across some amazing features that made us download it and get a hands-on experience of the product. VideoProc UI is well played out, modern and pretty simple and is a perfect match for GoPro Cameras. This is because GoPro cameras are amazing which support superview, 4K video stabilization, high definition video recording, noise reduction, etc. 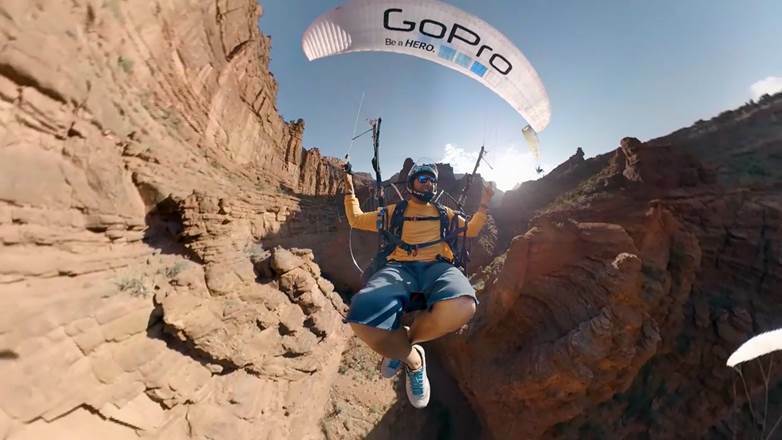 Also, GoPro users have the ability to capture 2.7K and 4K videos and this opens up the demand for compressing 2.7K/4K Go Pro videos, 4K video transcoding and edit GoPro videos. How can they be zipped, played, uploaded or stored? VideoProc has the answer! With such loaded features for the camera, Let us look at some of the appreciable features of VideoProc and how can it support GoPro Users to get a better experience. It supports as many as 300+ video formats and 50+ audio formats. 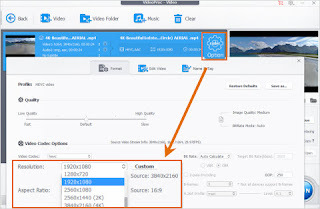 The compressing of 4K videos can be done to most of the popular formats like convert GoPro 4K HEVC to H.264, MKV, MP4, MOV, M2TS, AVCHD, AVI, MOD, TOD, HEVC/H.265, H.264, MPEG4, MPEG2, etc. While, the audio files can be converted to MP3, AAC, M4A, M4R, FLAC, AIFF, OGG, etc. 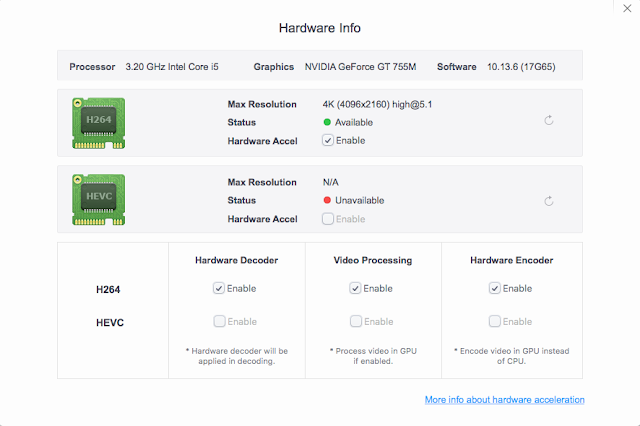 VideoProc can leverage Intel QSV, NVIDIA CUDA/NVENC, and AMD level-3 hardware acceleration tech, Hyper-threading technology, multi-core CPU utility, and AMD 3DNow technologies which provides it the ability to process 4K video with Full GPU Acceleration and 47X real time faster and preserve 98% of original video quality. 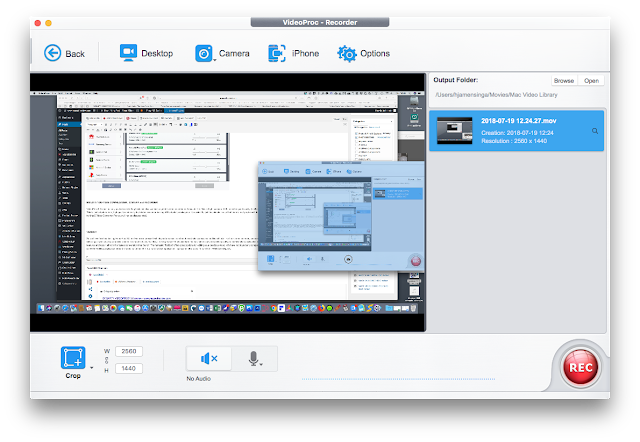 In addition to 4K video converting tools, VideoProc contains a screen recorder, YouTube video downloader, and a recorder. Awesome, right? Follow the below steps to compress a GoPro video to the desired format, size, and specification. 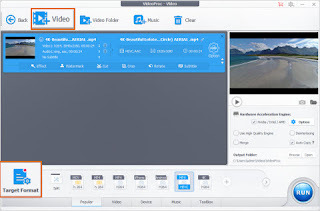 Get access to the video converter by clicking on the Video button in the VideoProc software. 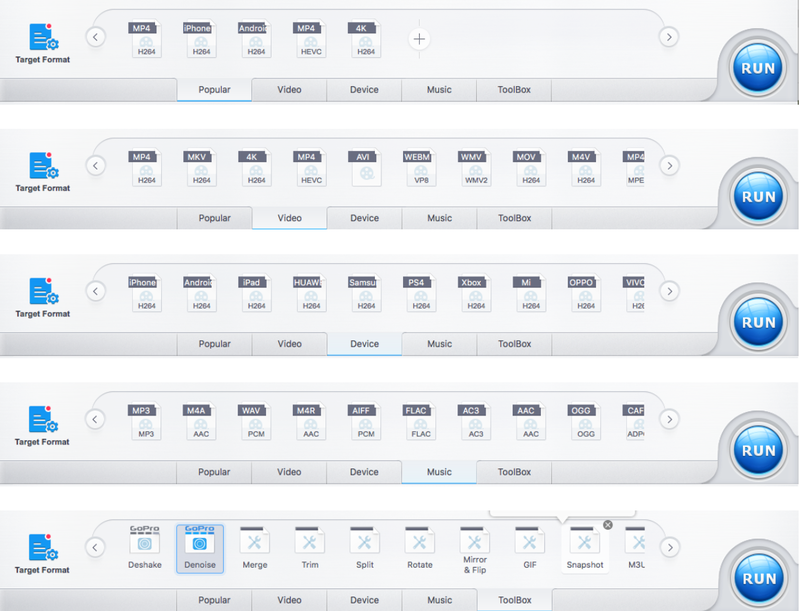 Using the '+Video' button, add the GoPro videos or simply drag and drop them into the screen. In this step, select the output profile for the video which includes the file format and other details. The out of the box presets come bundled with various audio/video codecs, container formats, resolutions, etc depending on user needs. For instance, if the GoPro 2.7K/4K videos are encoded with H.264, HEVC profile can be selected to reduce video size by 50% without any significant quality loss. On the other hand, if GoPro videos are to be compressed for YouTube, it can be done using two available profiles that compress the video to 720p one with the MP4 format or with format FLV. The options icon gives you the flexibility to tweak the video/audio parameters to get the video to the desired resolution, altering the bitrate or framerate which gives you control over the video size. Cropping and trimming the videos is as easy as dragging the lines to form the desired frame, the samples of which can be seen in the interface. 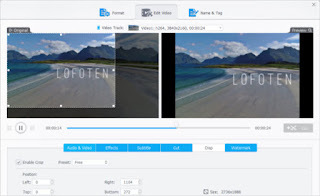 Once the video settings are finalized to the desired resolution and profile, click the ‘Run’ button which will convert the video and provide you great quality desired output. 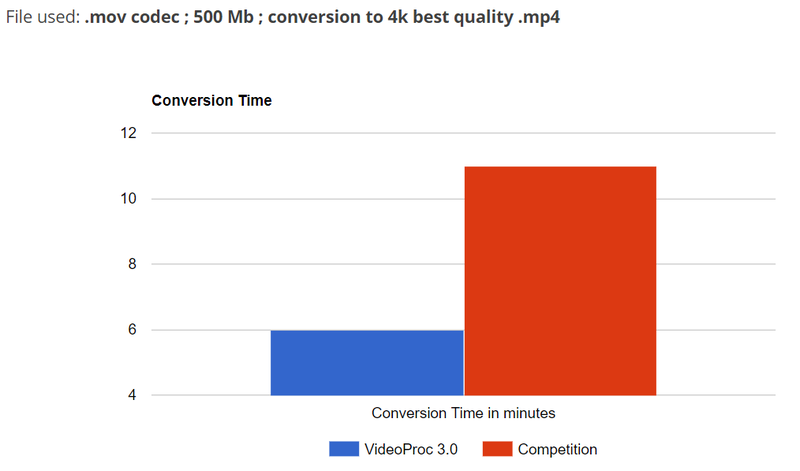 VideoProc is a feature-rich, high-quality fast video compressor that is an amazing product to edit GoPro Videos. It does a brilliant job and if you own a GoPro, DJI, iPhone, this is one product you must have for all your 4K video compressing and editing requirements. Before making a buying decision you can get your hands dirty by downloading its trial version also, and YES, don’t forget to participate and VideoPro new release sweepstakes to Win GoPro Hero7 and Accessories. How to Win GoPro Hero7 and Accessories? Step 2, Enter your name and email address, and then click the “Count me in” button as an entry. 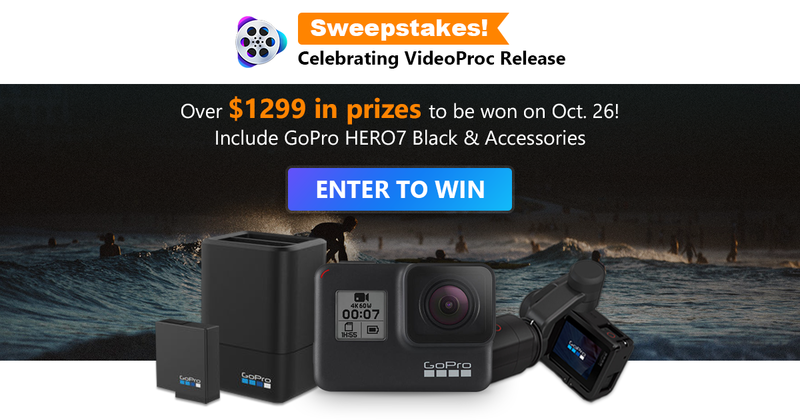 You can also earn more entries by sharing this GoPro sweepstakes page with your Facebook and Twitter friends.